Performances will come off sale via qtix several hours prior to each show. 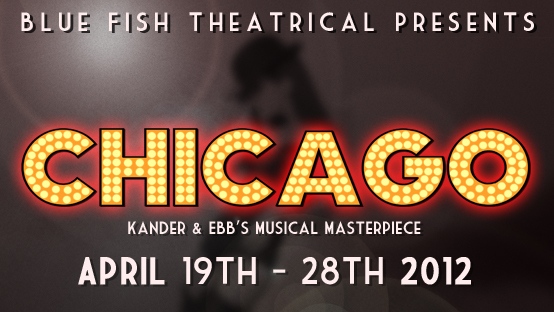 Queensland's hottest independent musical theatre company proudly present Kander and Ebb's theatrical masterpiece, CHICAGO. To coincide with the 15th anniversary of the Tony Award®-winning Broadway revival and the 10th anniversary of the Oscar®-winning motion picture, Blue Fish Theatrical proudly present a special revival featuring local Queensland talent! Staged as a musical vaudeville, this highly-acclaimed biting satire tells the tale of merry murderesses Roxie Hart and Velma Kelly vying for celebrity and fame with the aid of razor-sharp lawyer Billy Flynn, and a striking ensemble of sinister performers. Set against a backdrop of the jazz-age roaring 1920s, CHICAGO is a show-stopping cavalcade of corruption and scandal. Featuring Jessica Papst as Velma Kelly, Cait Gregor as Roxie Hart, Wade Colbran-Thomas as Billy Flynn, Natalie Ridoutt as Matron Mama Morton, and special guest Marc James as Amos Hart – plus a dazzling 14-piece band live on-stage! With a book by Fred Ebb and Bob Fosse, music by John Kander and lyrics by Fred Ebb, CHICAGO is based on the play by Maurine Dallas Watkins.